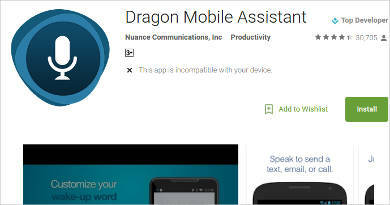 Perform tasks on your PC, Mac, or smartphone with the aid of our your voice. Make the right commands and automatically check off a task from your to-do list using a Voice Recognition Software that types words and numbers, access the Internet, view your calendar, or switches settings according to your request. This will be handy for when you forget your password or you can’t search for a specific document. Check out some of the best Voice Recognition Software that will boost your productivity and get more things done in your workspace. Voice Recognition Software also serves as a security measure to protect your files and other assets from being accessed by thefts or unwanted persons. Get a simple dictation software that allows you to do various tasks such as e-mailing, writing letters or stories without the keyboard. In order to make the most out of your software, you must allow your browser to access your PC or MAC microphone. An ideal voice command software must also allow you to speak in your native language; most dictation software supports languages like Chinese, German, French, Italian, Arabic, Indonesian, etc. Some software, like LilySpeech, is powered by Google’s Chrome speech, which is 99.5% accurate than other services. You can customize words on LilySpeech by setting your website address or a vocabulary that you’ve created. It also comes with a free trial and only costs $2.49 a month once you continue, so you’ll save on cash. Aside from these, determine the cons of the software. Test and see how often the software crashes or find out of the difficulties you encounter. If problems with your software persist, you can always contact their chat support or go online to their community forum for advice. If these steps still doesn’t solve your problem, then it’s time to stop that trial and switch to another one that’ll meet your business needs. 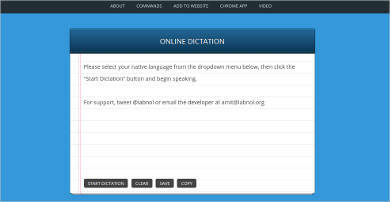 Most voice recognition software are designed for multi-use. 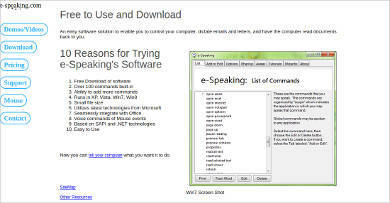 E-speaking for Windows is one good example. This software has over 100 built-in commands and the power to add more commands. It is compatible on Windows Vista, XP, 7, and 8, and it can be integrated with Microsoft Office applications. Stable Internet Connection – Most of our voice recognition software are Web-based, so you need to have a strong wireless connection to enable virtually assisted tasks like making text messages and reminders, and booking and checking appointments and other schedules. Latest versions of hardware devices – If you’re aiming for a software that supports Mac or Apple devices like iPad, you need to update your iOS from 6 to 9 and above. 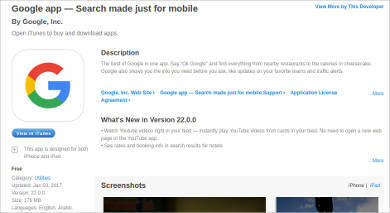 If you’re using Android, make sure you can accommodate more space for installing the application and its updates. Set precise commands – Speak clearly and always use simple words. Set alternative speech options if ever your voice or command isn’t recognized. If you want another security option, you can make use of a Facial Recognition Software that identifies with a digital image or video source. Examples of these type of software are biometrics and eye recognition.